HERBAL INFUSED WATER An infusion in water is a simple process using botanicals that release their active ingredients and are typically dried herbs, flowers or berries. Herbal infused water has become popular, because its a healthier alternative for those of us trying to avoid soda and sugar drinks. These recipes are beautiful, creative, and healthy for you. I found it so appealing that I began infusing my own water, and want to share with you how to make them. 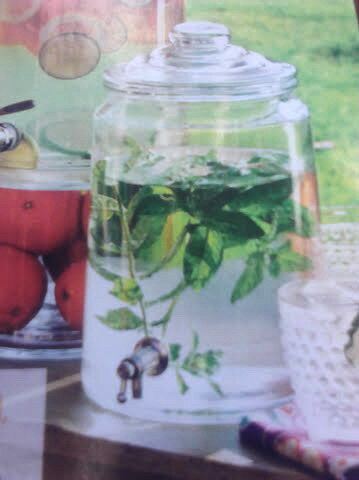 Fill a large pitcher with pure water; add your ingredients such as herbs, fruits or berries. Refrigerate over night. Strain water removing all ingredients. It’s important to strain the water within 24 hours before any bacteria has a chance to form. 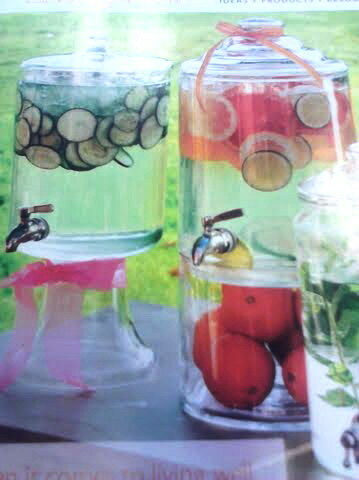 Having deliciously infused water is exciting and you may design your own recipes you may want to share. And now enjoy the flavored water! 2 more recipe's out of hundreds of combinations. Theses types of water containers are beautiful to store your water in, but buyer beware get some reviews on the one you wish to buy, cause I have found that most of theses containers leak. The orange spice is one I'm definitely going to give a go - thanks for sharing this. Beautiful, healthy alternative choice of beverage. Thanks for sharing your recipes in a visually, very pleasing way. I agree with blissedoutjo, I want to try the Orange Spice recipe. Love how it looks beautiful as well haha.. yummy and delightful.. Going to try it! Great ideas and natural too. Wow, I never knew you could do this! Thanks for sharing these recipes! Yum. 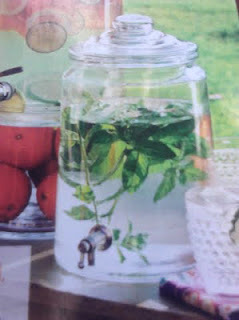 I know about infused waters, but wasn't too sure how to properly make them. I'm definitely going to try them all. It's hot here and these sure sound good! I love the blend of flavors in your infused water recipes! What a delicious and satisfying beverage and a great way to drink more water! Thank you so much for sharing this healthy and delicious recipe at the Plant-Based Potluck Party Blog Hop! I appreciate it!